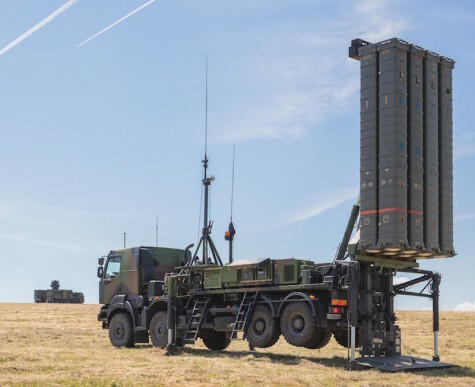 BERN --- On 22 March 2019, two of the three candidates submitted their tenders to armasuisse, drafted on the basis of the long-range air defense system requirements that the DDPS issued on 23 March 2018. This Patriot defense system from Raytheon (USA) and the SAMP/T from the Eurosam consortium (France). Israel has not submitted a bid for its David's Sling system, and that country is no longer part of the selection procedure. Just like for the acquisition of the next combat aircraft, the submission of this first DSA offer marks the beginning of the analysis and testing phase. DDPS specialists will now analyze the replies to the questionnaire completed by the manufacturers in their offer. From May to July 2019, several DDPS teams will evaluate the efficiency of the various systems, their maintenance and the required training. From mid-August to the end of September 2019, ground-to-air sensors will be tested in Switzerland to verify the indicated performance of the radar on an ad hoc basis, by ground and target measurements in flight. No firing tests will be carried out. Press conferences are planned for journalists. All information on these events will be published early August 2019 on the DDPS website. For each candidate, armasuisse, in cooperation with the Army Staff, the Air Force, the Army Logistics Base and the Army Command Support Base, will record the results of the phases of the analysis and testing in individual specialist reports. Candidates will only be compared with one another at a later time. In accordance with the current timetable, armasuisse will prepare a second call for tenders which will be sent to candidates in the course of winter 2019/2020. Based on the results of their second offers, armasuisse will compare the candidates against each other on the basis of its specialized reports, and will determine the overall effectiveness for each candidate. The evaluation report comparing the overall effectiveness with the acquisition and operating costs over a period of 30 years will then be developed. The Federal Council will then decide which model to choose.